Approximately 90 percent of golfers play public access courses and account for about 80 percent of all rounds. These are important numbers since in the quest to fill tee sheets course operators target these players and particularly the segment the National Golf Foundation calls core golfers, those who play eight or more rounds annually. In recent years that question has frequently been answered by making use of third-party resellers of tee times, the two most prominent being GolfNow owned by the Golf Channel and a new venture, TeeOff.com, backed by the PGA Tour. Times may be booked via a smart phone app with no need to contact the course directly. Presently there is a lot of debate and even some sharp controversy between course operators, golf management companies and tee time resellers concerning the ability of courses to maintain control of their tee sheets and the distribution of golfers’ greens fees. 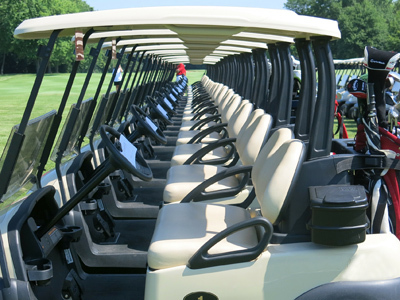 The two most contentious points center on the need for courses to increase rounds played while protecting their published “rack rate” pricing and certain business practices by resellers, mostly discounting in one form or another. Industry insiders do not believe a resolution is yet in sight but some information about customer attitudes and motivations for using third-party services is available from the NGF. The NGF conducted a representative survey of core golfers about their use and attitude towards third-party resellers and looking at the results several things are evident but it also clear the controversy between industry segments will continue. According to the survey results, in the past year almost half of core golfers used a third-party reseller with 81 percent giving the reason of being able to view information for multiple courses at the same time and 76 percent, because they believe prices are lower. These two responses seem show the primary factor for use of a tee time service is golfer price sensitivity—looking for a “deal”—and in fact is what drives the business plan for third-party resellers. For course operators a benefit of this behavior was 41 percent of core golfers said the services gave them access to courses they would otherwise not have played. The tee time revenue therefore may have been transferred to a different course without the operators of the first course having the opportunity to convince golfers to book an open time. In addition 48 percent used third party resellers when away from home making it a major factor for resort areas. What the NGF survey doesn’t do is provide answers to the industry debate and that sales by resellers have not peaked since the PGA Tour is unlikely to have jumped into a market projected to flatten or decline. But golfers week in and week out tend to play the same local course or courses so it remains to be seen if they feel the need to use a reseller over a simple telephone call plus many facilities have their own tee time reservation app or web site page further clouding the prospect for resellers. There is no doubt third-party sales of tee times are a useful service and some course operators believe it brings new revenue. But are courses simply competing with themselves? Is the lower fee they receive from a reseller a substitute for a higher priced rack rate sale they may have made? This question will be answered as the market adjusts but a larger and still unknown factor is the effect of the declining number of courses and golf’s stagnant participation. Until these are resolved aggressive tee time price and service competition will continue.